January is a great month to plan new activities we want to do or learn with our dogs. A wide variety of fun sports and activities are available to dogs and their people! Scent discrimination training includes tracking and trailing, scent identification, search and detection work. In tracking and trailing, the dog locates and follows a certain odor. This could be a missing cat, dog, person or other animals: whatever the dog is asked to identify and follow. 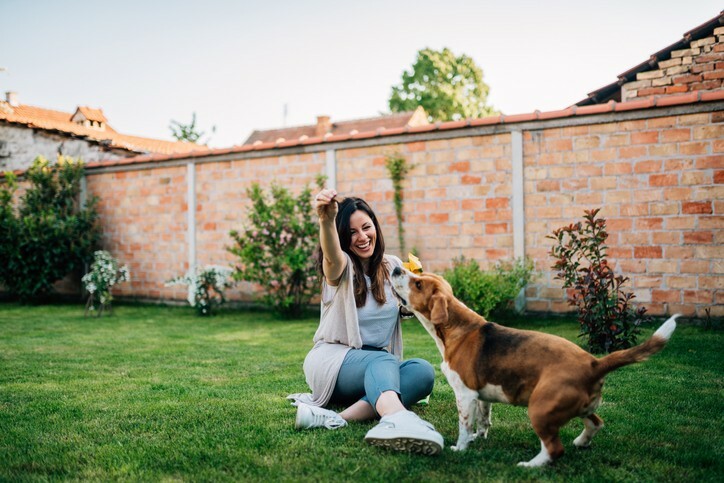 There are several methods of training a dog for these activities whether it is using a toy to build up enthusiasm or food to create a positive association. Many dogs like to use their noses. The Canadian Kennel Club offers a “Canine Good Neighbour” (CGN) certificate for dogs who pass the exam. The test is made up of twelve components including accepting petting from a stranger, passing another dog quietly and other skills which are outlined on the CKC website (https://www.ckc.ca). The American Kennel Club offers the Canine Good Citizen which is a 10 step test which includes supervised isolation and accepting a friendly stranger’s attention. Details are outlined at https://www.akc.org/products-services/training-programs/canine-good-citizen/. Agility is a fun sport where dogs are trained to navigate jumps, a-frames, tires, tunnels and weave poles. In foundation classes, core strength exercises help the dog get in physical shape to do this activity. Foundation exercises also help the dog and guardian build confidence and learn the skills needed to safely use the equipment. Once the dog is comfortable with the equipment, they learn to go from one piece to another. For those who want to compete, there are many trials to attend and several organizations to belong to. Dock diving is a great sport for dogs who love to retrieve and who love the water. Dogs are encouraged to jump off the end of a dock as far as they can into the water. There are competitions and organizations for dock diving which is a relatively new sport. Rally O (or Rally Obedience) is a fun activity dogs and handlers at all skill levels can enjoy and all organizations welcome teams where the dog and/or handler may be physically challenged. There are several organizations for Rally O and many competitions. Dogs of any breed or mix of breeds are welcome to participate as some organizations are not limited to dogs of recognized breeds. Teamwork and the ability of the handler to keep the dog’s attention while on the Rally-O course are part of what is being judged during Rally O competitions. Perhaps your dog could use some help coming when called or walking nicely on a leash and needs a refresher. Joining a reward -based training course to learn how to teach your dog to respond more readily to his name or to walk without pulling may be a good way to start the new year! If your dog is anxious around unfamiliar people or dogs, this year may be a good time to get professional help from a reward trainer or consultant for your dog, so he becomes a confident and relaxed dog. Those are just a few things to try with your dog this year!